Let’s start by exploring the basics, including the location, color, and symbol of the solar plexus chakra. 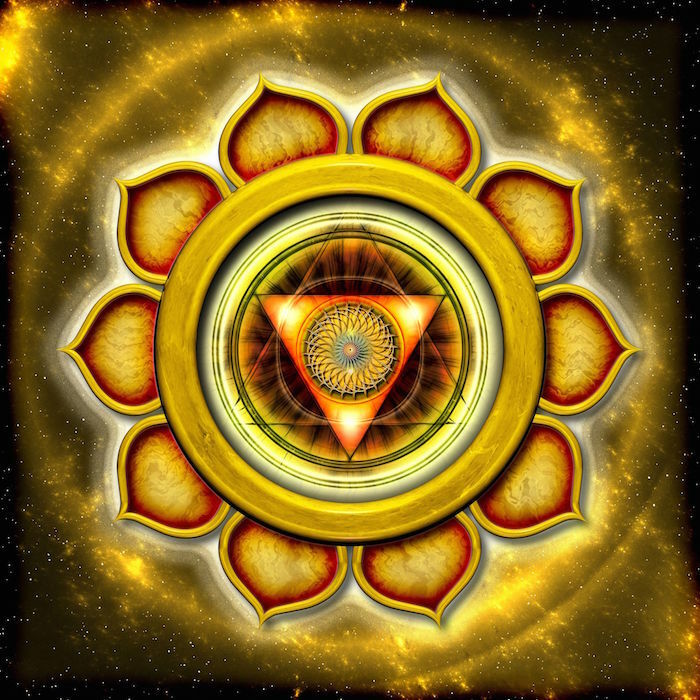 Then, we are going to look at possible signs of imbalance in the third chakra and what to do to heal your solar plexus centerand restore its balance to its optimal state. The inverted triangle represents the fire element and the transformative powerof this energy center. Fire turns matter into energy that can be used to propel, move forward. The ten petals are often represented with the color blue, like the blue color of the flame.